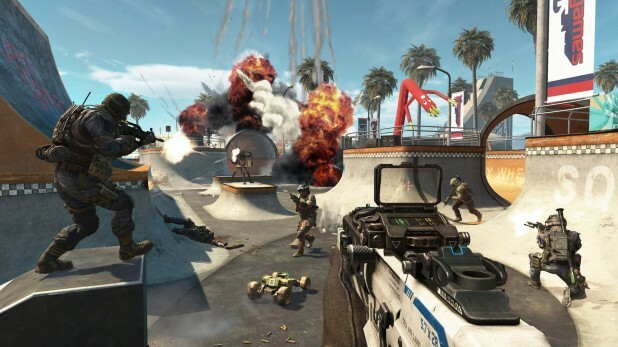 Violent Video Games: How Much Influence Do They Really Hold? On December 14, 2012, Adam Lanza walked in to Sandy Hook Elementary School at Newtown, Connecticut and shot 20 children and 6 teachers in cold blood, before turning the gun on himself. Before he got to the school, however, he had already killed his own mother. Since the shooting, America has been debating an issue than has often been the source of much controversy in the states: gun control. President Obama has vowed to look at this issue in great detail, with many proposals being made on how to tackle gun violence in the country. One of the proposals being made is to look at how violent video games affect people, especially children, which undoubtedly comes after the allegations that Lanza was a big fan of video games such as Call Of Duty and Dynasty Warriors. Since the shooting, politicians, press and organisations have blamed video games for our current ‘violent culture’, with many suggesting that things like the above would not happen if it weren’t for the industries' violent output influencing the users' minds. Others have quashed this theory, proposing that violent video games are not as influential as those who suggest they are, say. So, who is right? That is a matter of opinion, but personally I agree with the latter with this view being derived from some facts, my own research and my own experiences. First, let's look at some facts. In recent years, whilst video game sales have steadily increased, according to FBI stats, violent crimes in the US have dropped. Police studies have also shown that here in Britain, where we consume the same violent games as across the pond, violent crimes in recent years have also dropped. So if violent video games really are that influential then, in two of the biggest video game consuming nations, surely violent crimes should be on the rise too? Logically yes, but they’re not. Admittedly though, it could be argued that some studies show the opposite. A recent study for example, conducted by the Ohio State University showed increased aggression in subjects that were asked to play violent video games, over 20 minute periods over the course of three days, compared to the subjects who only played non-violent games in this time frame. However, this research was conducted on 70 students, so it is a pretty big order then to use these small-scale findings as a measuring stick against the wider gaming community (as Fox news did). Plus, even though this study implies that further play i.e. violent gaming over a longer period of time, could lead to further aggression and eventually perhaps violence, the study neither confirms nor proves this theory. This is also one of only a few studies that I found which provided any sort of ‘conclusive,’ and I use that word lightly, evidence to prove any sort of links between aggression and video game violence. Maybe I’m not looking properly, but from what I have seen I can only conclude that the scientific support is pointing one way. As for the aforementioned proposal, if this new research does go ahead, Obama has said that one of the major focuses will be the relationship between violent video games and ‘young minds.’ This is often one of the foremost factors that the press, parents and politicians tend to focus on when talking about violent video games: the impact they have on kids' minds, with them often being blamed for corrupting them. This happened in 2004, when 17-year-old Warren LeBlanc killed his 14-year-old friend, Stefan Pakeerah. It was reported that LeBlanc killed Pakeerah using methods he had seen in the game Manhunt, which he was ‘apparently obsessed with.’ Firstly, that game should not have been in the hands of a minor anyway. The game was rated 18, therefore he should not have been playing it in the first place. Game classifications are used to protect children from these types of games and if parents are concerned that their child is playing such titles, they should confiscate them immediately. Having said this, when I was 12 years old my parents bought me Grand Theft Auto: Vice City and I have yet to run someone down or kill a prostitute. I know many people around my age that played Vice City as well as Mortal Kombat, Streets Of Rage, and Resident Evil as kids. I am still yet to see any reports that say that they were so deeply influenced by their childhood gaming sessions, that they have since ripped someone’s heart out or that they often stab strangers on the street. With regards to Manhunt, I never played the game myself but I knew many that did and yet I haven’t heard of any other stories like the aforementioned. Perhaps this is to do with the fact that I live in the UK, where firearms are extremely difficult to get hold of and which therefore makes it harder for people to act out the majority of violent games. Even so, we have plastic bags, we have knives and we could get hold of a gun if we really wanted and yet, not many video games are blamed for murders in this country or many other countries for that matter. Even in America where guns are rife, the ratio of violent crimes that are blamed on video games is extremely minimal, which suggests that occurrences such as the above are less to do with video games and more to do with the minds of the sole individuals that perpetrate them.